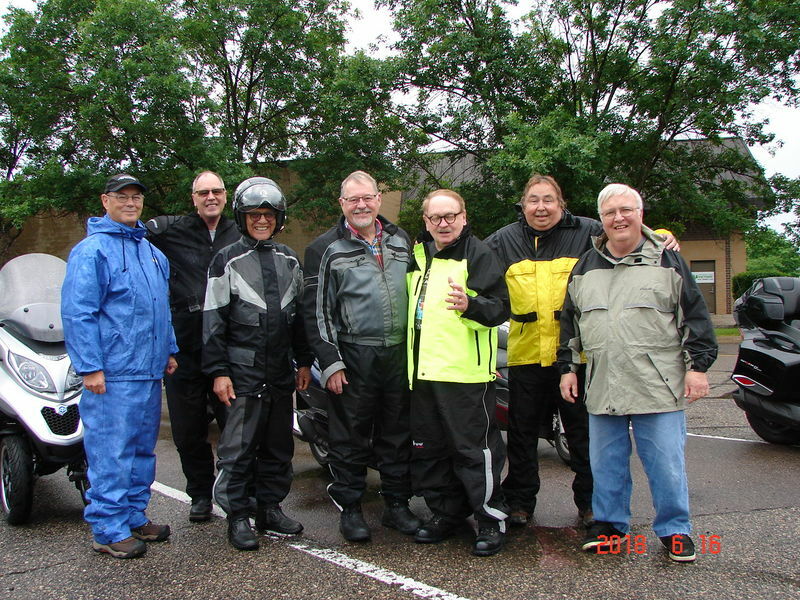 My scooter ride group headed out in the rain down the Minnesota River on the Scenic Byway to Mankato for lunch. Your's is and adventurous, and by all appearances, a happy group. You're fortunate in that way. They're always on their way to a restaurant. and rest stop where you can't crap. Not my idea of civilization. control of our bodily functions you young folks have. 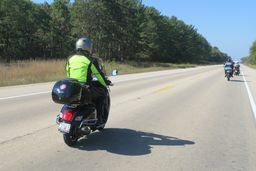 Ride on, stop often, and eat the best chow possible. Also, a nice Danish Pastry with coffee is a super way to start a ride. It's great to have you around Bob, thanks for posting and all the positiveness!